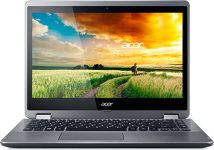 Aspire series by Acer are full-featured devices with impressive everyday performance in a slim design. Premium styling and all-day battery life make this series perfect for users of all kind. With cutting-edge graphics, it gives you the ultimate entertainment experience. A memory upgrade for your specific aspire model can enhance the functioning of your laptop significantly.